Smuggler Marine is forging ahead in new territory, using Sealegs technology on its well-proven Strata 750 hull. The new Smuggler Strata 770 powered by Sealegs technology turned heads at September’s recent Auckland On Water Boat Show, then again at the Ft Lauderdale Boat show in October. 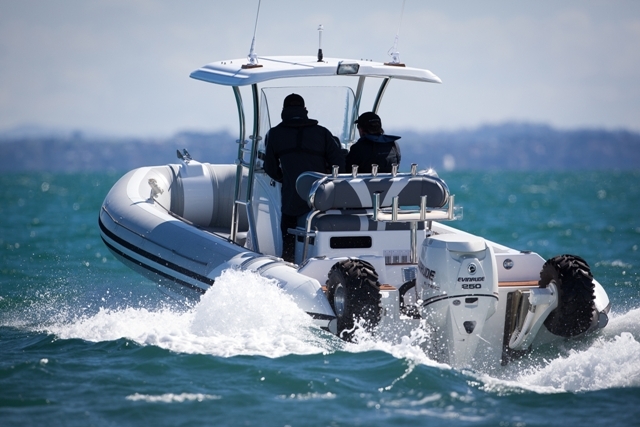 Auckland-based Smuggler Marine is now a Sealegs licensee and, using the existing Strata 750 hull, Smuggler’s design team has modified the bow section and transom structurally to take the Sealegs system. The result is dynamic, says Smuggler Marine managing director David Pringle. “With two proven products combined into a fantastic riding amphibious vessel, the capabilities are endless,” says Pringle. “This is a versatile and extremely practical way to go boating, as many existing Sealegs owners already know. No trailer launching and retrieving, just a simple drive from the house to the beach, and off you go. And with the revolutionary 27 degree Smuggler hull, this ride is a cut above the rest. 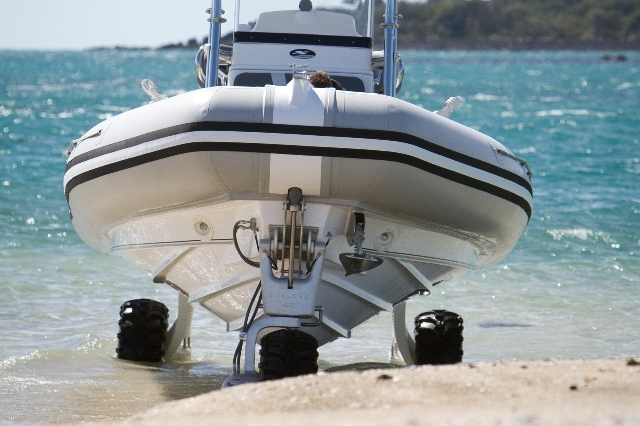 Smuggler Marine’s attention to detail is well-known with many superyachts choosing Strata RIBs as their crew and guest tenders. The Strata 770 is no different, and will be perfectly at home on a large superyacht. See the Smuggler Marine website for more information.